The Islam and Christianity blog is chronicling how current world events appear to be fulfilling the prophecy of Daniel 11:40-45. Daniel 11 predicts events in sequential order from Daniel’s time in the 6th century BCE up to our time and beyond. Daniel 11:2 describes the times of the Persians until Greece rises. Daniel 11:3-4 describe the Greek empire of Alexander the Great until it divides at his death. Daniel 11:5-19 describe the conflict of the Greek factions from the north and south of Jerusalem until Rome rises. Daniel 11:20-22 describe Rome during the times of Augustus and Tiberius, including the death of Jesus, the “Prince of the Covenant”. Daniel 11:23-45 describe the conflicts of the divided Roman Empire (including our time) when the Christians control the northern part of the old Roman Empire and Islam controls the southern part of the old Roman Empire. Daniel 11:25-28 describe the times of the Crusades when the Christians, under urging from the Pope (king or leader of the north), fight against the Arab Islamic Caliphates (king or leader from the south). During this time, the Christian world united behind the papacy because they were afraid of the spread of a violent Islam. Daniel 11:29-39 describe the time of the Ottoman empire and reformation times when the Christian world once again followed the papacy because they were afraid of the spread of a violent Islam. Daniel 11:40-45 bring us to our time, called the “time of the end“. Here, another Islamic leader or Caliphate will push against or attack the Christian world. 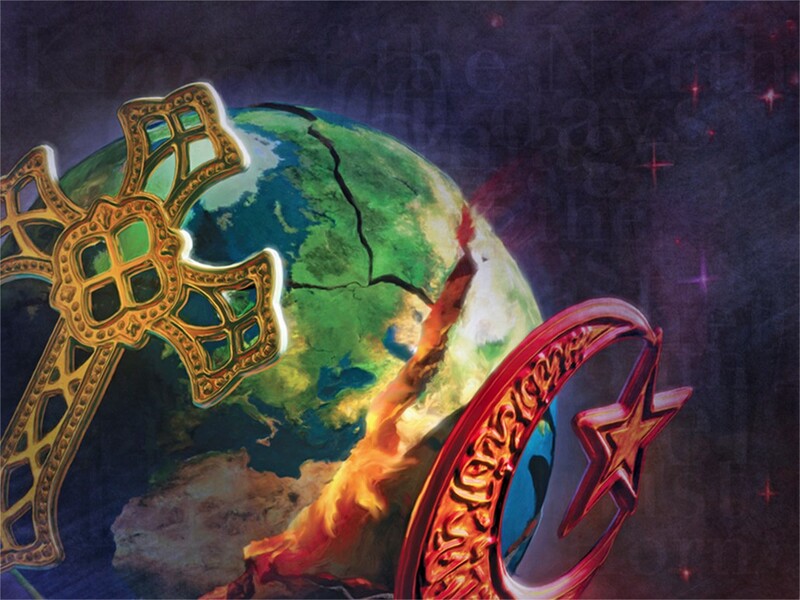 The Christian world will once more unite behind the papacy because once again they fear the spread of a violent form of Islam. We begin with events in the summer of 2014, when we now have an effectively functioning Caliphate for the first time since the Ottoman Empire. This will be followed by the Pope or papacy once again calling for international military intervention (a crusade-type event) to stop and destroy violent Islam. The following stories are all in the sequential order which matches the sequential order of the prophecy. You may wish to print out the Daniel 11 commentary from our resources section to follow along in Daniel 11. God be with you and direct your thoughts as you examine the Biblical and historic evidence. The Islam and Christianity blog begins with events in the summer of 2014 but was not written here until June, 2015. Unless you understand the background you will not fully understand current events.